Hip eatery serving a plant-based menu of street tacos & Mexican classics plus craft libations. YOUR ONE STOP SHOP FOR ALL THINGS CRAFT COFFEE. The craft coffee experts at Dayglow have carefully curated an extensive selection of specialty grade coffee from the world's most celebrated roasters. Latin American cuisine at affordable prices. El Sabor is a distinctive Latin American restaurant. With heritage inspired dishes discovered from travels to Mexico, South America, Central America and Spain, El Sabor offers innovative food in a stimulating environment. Located at the base of Vail Mountain the restaurant is open for breakfast, lunch, après ski and dinner. A local coffee shop that proudly serves the community of Fort Collins, CO, for its soul. And relies on serving the community the best cup of coffee to all that walks through their door. 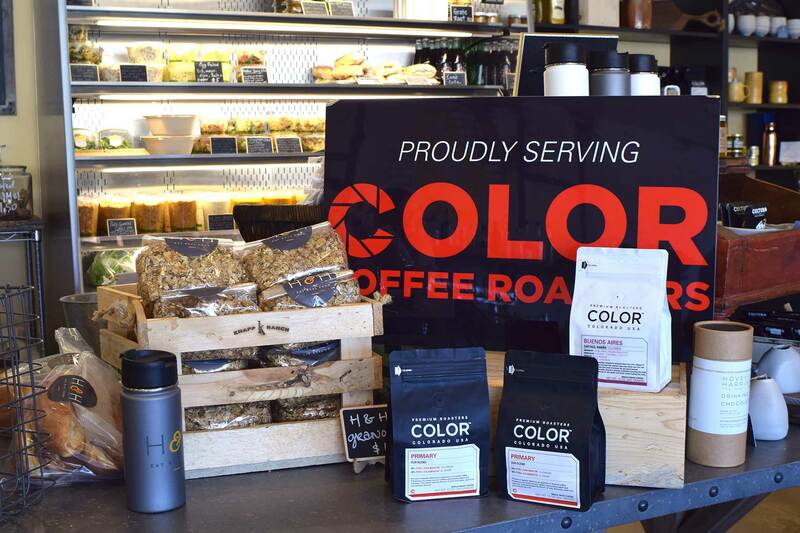 We proudly brew beans roasted by Color Roasters and oddly correct coffee. Since 1992 Garfinkel’s (or Garfs as it is locally known) has been a cornerstone in Lionshead (VAIL) for both tourists and locals alike. Our sunny deck provides the best après ski, sun catching, and overall late spring and summer experience. Our mission is simple: make it easy for people to eat healthy foods. With our online ordering and delivery, living healthy just got even easier. Find your favorite juices, place your order and in less than an hour you will be enjoying cold pressed juice. At Hopper & Burr, we really like coffee and we know our customers do, too. So we spend a lot of time sampling, tasting, and brewing a variety of coffees (from a lot of roasters) so we can showcase our favorites. Creating a communal space where local, whole, seasonal ingredients are used to craft good food that harmonizes with planet & community. All of our baked goods are made exclusively with organic heirloom wheat flour (some biodynamic and some local). Heirloom varieties of wheat seem to digest easier in our bodies and produce fewer reactions than some other modern wheat varieties. At Root & Flower, we try to bottle this same imagination; over 50 by the glass pours of wine, an extensive bottle selection, craft classic cocktails, and an ever changing food list distinguish Root & Flower as one of Vail’s most versatile watering holes. The Independent Grocery store is alive and well and your Village Market is proud to be among the finest in Colorado, Utah and Idaho. As unique as the communities we serve, each of our full service markets offer the highest quality products at great prices with the service our customers deserve. The following cafes are iconic destinations in the world of coffee. We are proud to be on their seasonally rotating list of featured roasters.